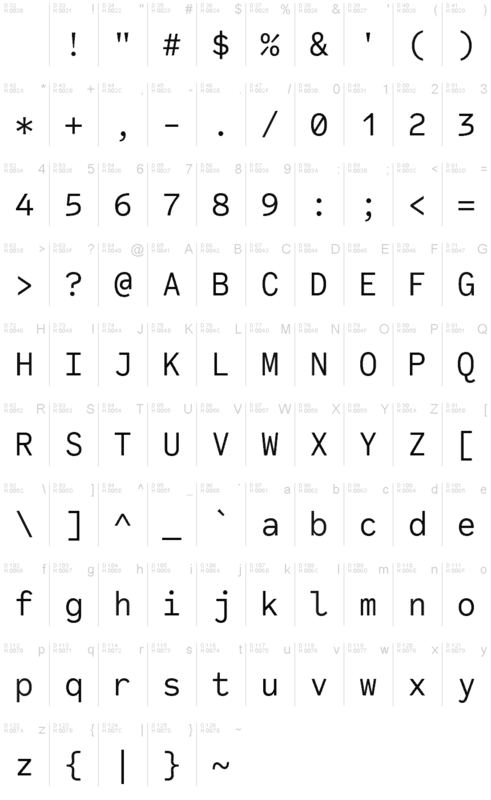 1. is a monospaced font family for coding and tabular layout. 2. is a clean, natural and simple monospaced font family. 3. consists of 6 style, Regular, Medium, Bold and their 11 Italic. 4. is ready in both OpenType and TrueType formats. 5. has 93.33% condensed width for more usable space. 6. has good distinguishability and legibility especially numerals. 7. brings a fresh sensitivity to boring old existing monospaced fonts. Code Saver is a trademark of Dharma Type. Designed by Ryoichi Tsunekawa from Dharma Type in 2018.